My aunt Rosie asked me to bead some glove and slipper tops for a potlatch. As I’m beading some glove tops, and I keep getting a whiff of smoked moose hide. The balcony door is open. It’s a crisp and fresh morning. The birds are singing. I can almost imagine being at fish camp, smelling wood smoke from our camp fire and beading while taking a break from chores. 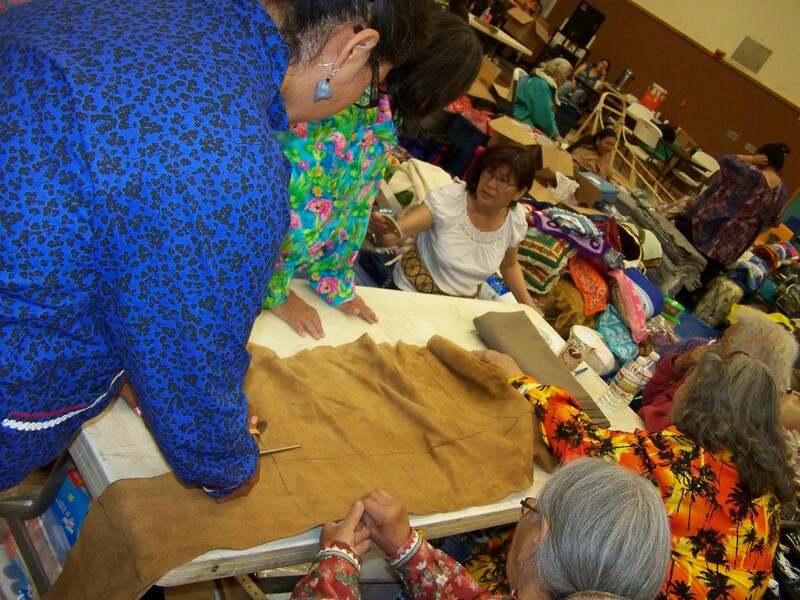 Smoked moose hide is ideal for doing beadwork on because it doesn’t unravel and holds its form. My ancestors and family have been using it for clothing for centuries. It was used for survival along with other hides and furs. Our people were resourceful and didn’t waste. Nowadays, we use them for mittens, vests, dresses, jewelry, slippers, picture frames and much more. If you’ve followed me, you know I love beading slippers. I bead on smoked moose hide slipper tops. People mostly buy them from places where they are commercially tanned. However, some people are starting to relearn how to process and tan them. It is a lot of work and you have to scrape it a lot. My late grandmothers used to work on them with help of family. Here my great aunt, Rose Ambrose, shares a short story on how people used to process smoked moose hide. 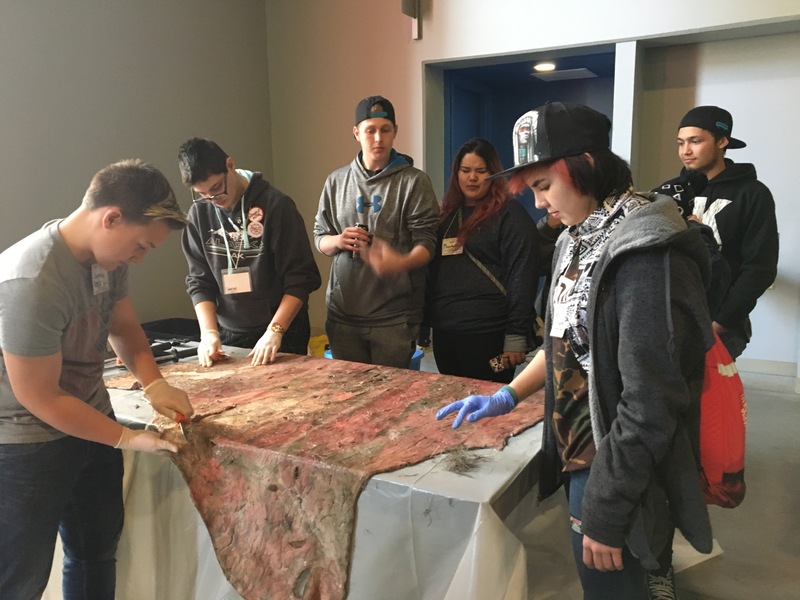 Artist Melissa Shaginoff (Athabascan/Paiute) has been demonstrating and teaching people how to tan moose hide. Check out Melissa’s website or follow her on Facebook or Instagram. I appreciate the hard work that goes into making smoked moose hide. 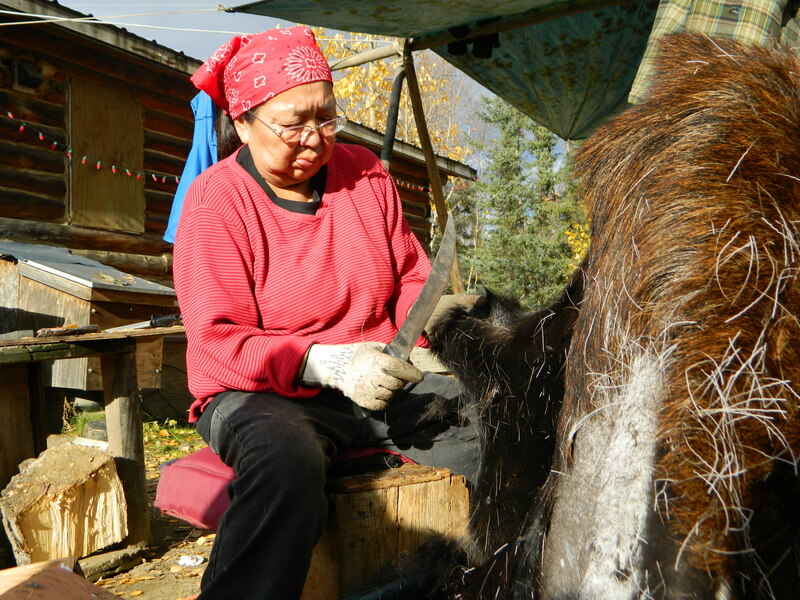 If you understand the process and hundreds of hours that go into tanning moose hide, you will also understand the value of being able to use it but also the expense. 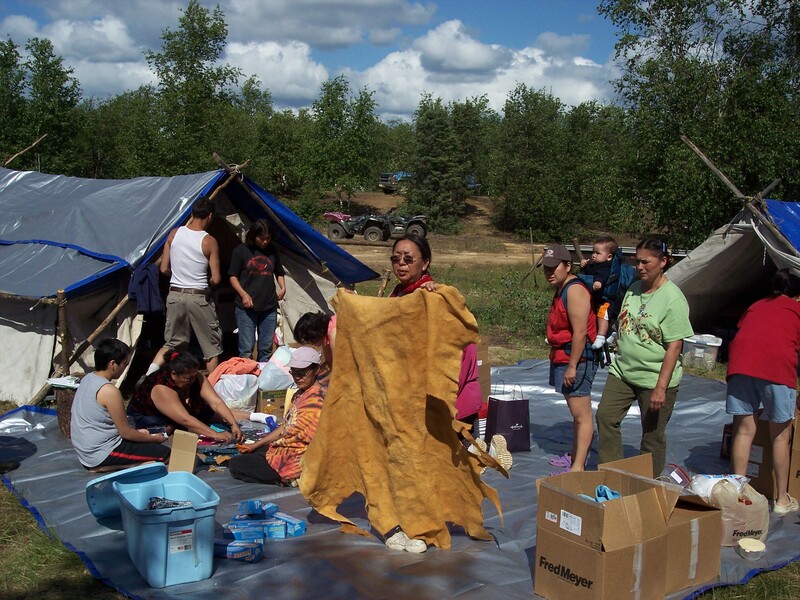 When preparing for Athabascan traditional memorial potlatches, families usually save up to buy a moose skin and distribute parts of it at the giveaway. The giveaway is a way for families to thank people who have helped them through the grieving process and who are special to the lost loved one. It is a precious gift to receive. 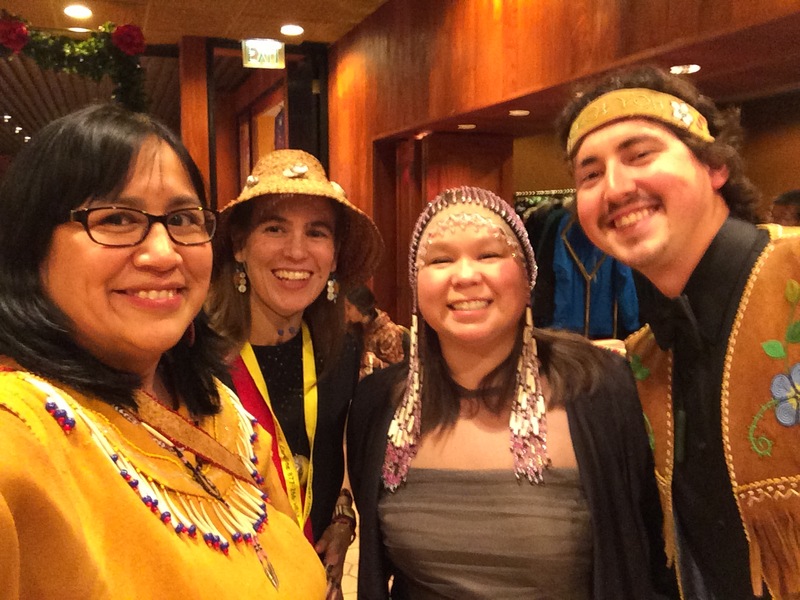 My friend, Dewey Kk’ołeyo Hoffman, has a smoked moose hide vest. He wore it to the Smokehouse Gala and there was one woman who was sniffing his shoulder. He said, people do that all the time. I love the smoked smell. It brings back many great memories.